ALLEN PARK, Mich. (AP) — Matt Patricia tried not to send mixed signals as he sought to decipher the cause behind the Detroit Lions’ worst loss in a home season opener in franchise history. The first-year Detroit coach said the difference in Monday’s 48-17 loss to the New York Jets came down to a simple aspect of football: The Jets made plays and the Lions did not. 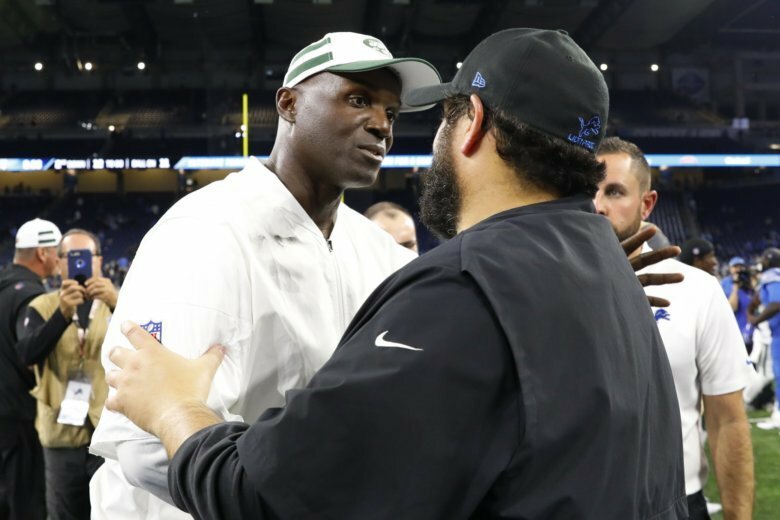 In Patricia’s opinion, the Jets defense being able to read some of his team’s offensive signals was not the main reason for Detroit’s lopsided setback at Ford Field. “I would say in general, there are a lot of things that go on in the games that are identifiable to the players on both sides of the ball through the course of the game and that happens at times,” Patricia said. “There are certainly very specific things that are used in the course of a game where guys do a good job of steering things or studying things and seeing stuff at that standpoint. “We have to go back, look in the mirror, and figure out a way to get it fixed,” Lions safety Glover Quin said. Several Jets players insisted what they saw on the field Monday was similar to schemes run by the New England Patriots, where Patricia served as defensive coordinator prior to taking the Lions’ job this season. If that’s indeed the case, there could be a couple more rough weeks in store for the Lions. They’ll face former Patriots quarterback Jimmy Garoppolo in San Francisco this week, and play host to the Patriots in Week 3. Patricia can already lay claim to a pair of Lions coaching records. The 48 points surrendered was a new mark for the most allowed by a coach in his first season opener, supplanting Bo McMillin’s 44-7 loss to the Los Angeles Rams in 1948. And Patricia easily eclipsed the previous standard for the worst loss in a home season opener by a new Lions coach, beating Harry Gilmer’s 20-0 defeat by the Rams in 1965.